The holidays are when I often get sucked down the black hole that is Pinterest. 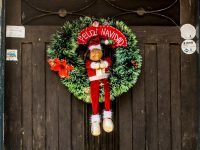 Before I know it I’ve pinned 13 pumpkin pie recipes (I don’t even like pumpkin pie), a handful of “Elf on the Shelf” ideas (have I mentioned I don’t have kids? ), and instructions for how to make your own wrapping paper (I typically shove 90 percent of my Christmas presents into gift bags on Christmas Eve). But one thing I’ve seen over and over has intrigued me. It’s called the 4 Gift Challenge, and it’s designed to create intentionality when it comes to Christmas gifts. The idea is simple. You give your child (really, anyone in your life you might be inclined to “over give” to) something they want, something they need, something to wear and something to read. And that got us here at Compassion thinking. We could do our own 4 Gift Challenge! But with the Compassion version, you could give those gifts to children in poverty. We have some ideas here for this fun activity to do with your family! To have your kids help you look through Compassion’s Gift Catalog and find those four perfect gifts to share with children in poverty! And don’t forget, we’d love for you to share your ideas about how you’re making Christmas more this year — more love, more joy, more Jesus — so tag your posts about Compassion’s 4 Gift Challenge with #MakeItMore. We’ll be sharing your ideas all month on our Pinterest board #MakeItMore and across Twitter, Instagram and Facebook. A Bicycle: Every kid wants a bike! 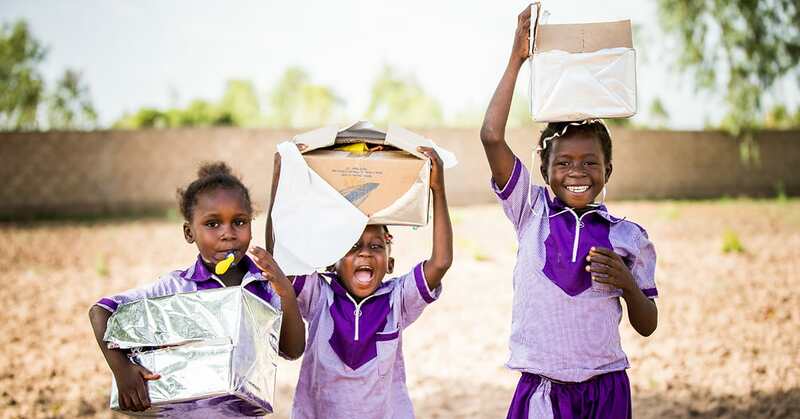 And when you give one through Compassion’s Gift Catalog, you’re also providing a way for a child to get to school! Safe Playground: Give kids a safe place to run, play and be kids! Sports Camp: It’s the equivalent to that clumsily wrapped baseball bat under the tree — but you’re also giving the gifts of teamwork, community and physical development! Safe Water: Access to fresh, safe water is essential for a child’s health and development. 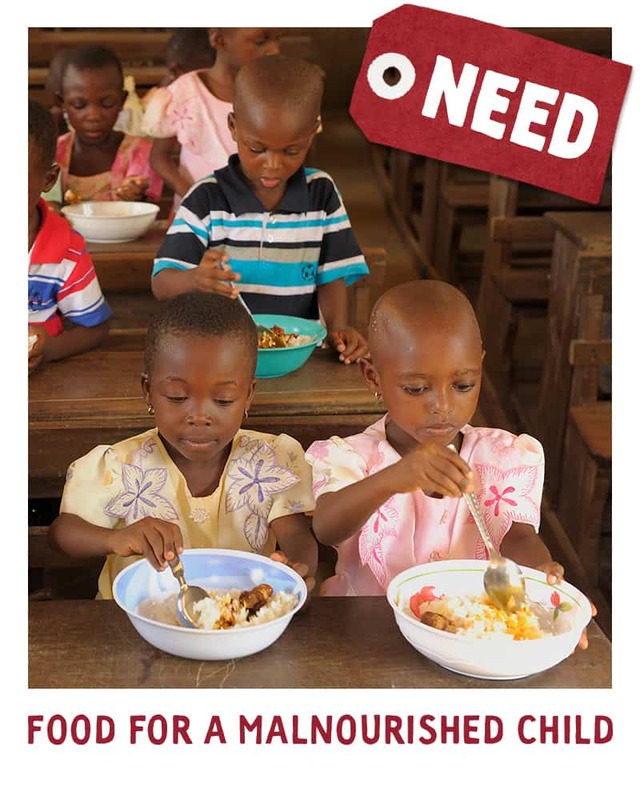 Food for a Malnourished Child: When you give food to a child who suffers from malnutrition, you give him the support necessary to grow strong and healthy. 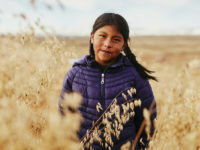 Urgent Medical Care: Every child deserves to know that if she gets sick she will have access to the doctors and medical care she needs for healing. Sewing Workshop: A sewing class gives students the skills to not only sew their own clothing but also a marketable skill that can be used to defeat poverty. Newborn Care Package: Baby clothes are so fun to buy! 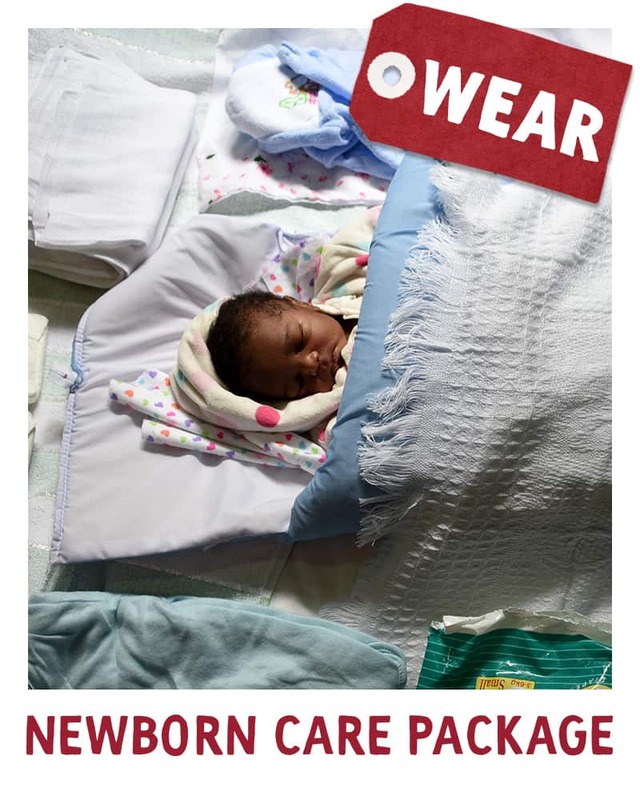 A gift of a Newborn Care Package lets a mother proudly dress her baby in brand-new clothes. Bible: A child who has a Bible of her own to read will always have the Word of God and His message of love close at hand! 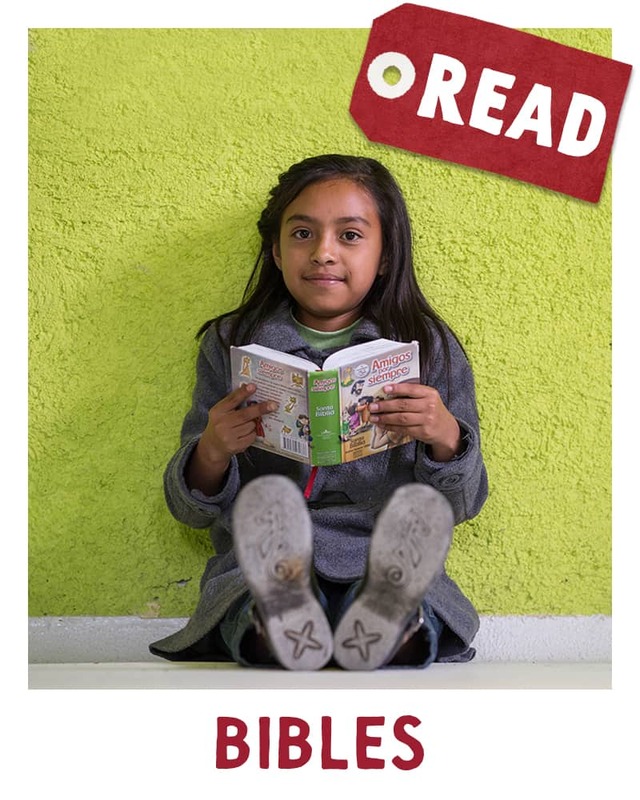 Textbooks: In the developing world a textbook is a key to education — and a clearly marked path out of poverty. Academic Scholarship: An academic scholarship will help provide a teen with everything they need to further their education — from laboratory and testing fees to study materials and tuition costs. 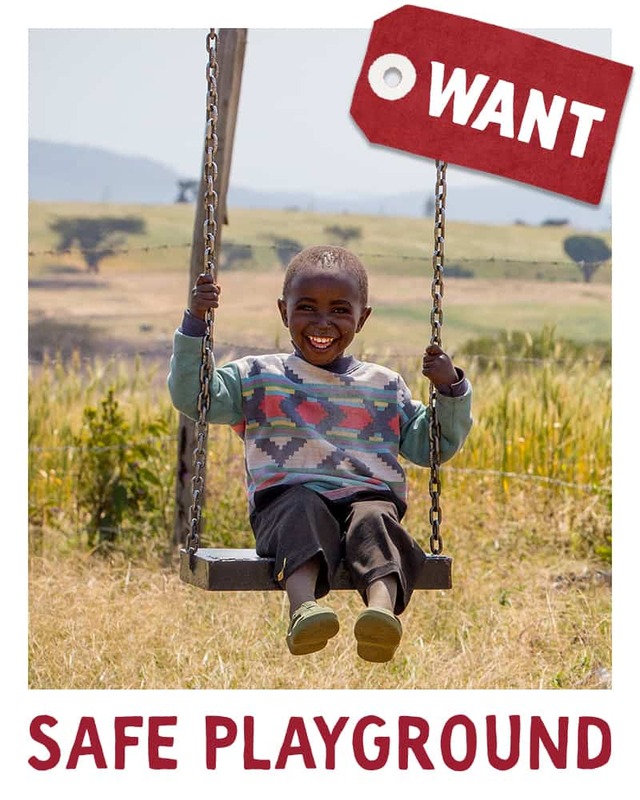 Check out the Christmas Gift Catalog for more ideas to of joy to send to a child in poverty. And be sure to follow the #MakeItMore Pinterest Board for more 4 Gift Challenge inspiration! 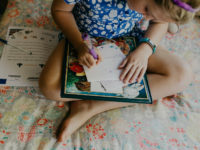 Prev Post:Thank You for Advocating for Children in Poverty in India!Next Post:How Much Love Can You Fit in an Envelope? I have chilldren which need help here in pallisa uganda. ibelieve God will atourch your heart to lift up this children from poverty. Hi Charles! Please email us at socialmedia@compassion.com with some more information about how many children you are wanting to help get sponsors. We are happy to either connect you with centers in your area or more information about requesting partnership.